Halfway fill deep saucepan or soup pot with water. Bring to a boil. Rinse peaches in the sink. 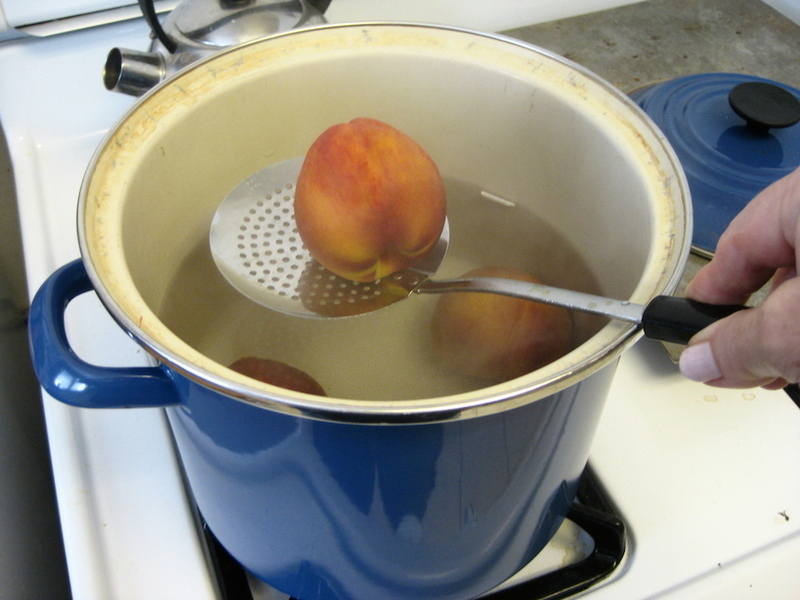 When water boils, carefully drop them 3-4 at a time into the boiling water. Let them scald for about 30 seconds, then lift each out with the slotted spoon onto a dry dish towel. 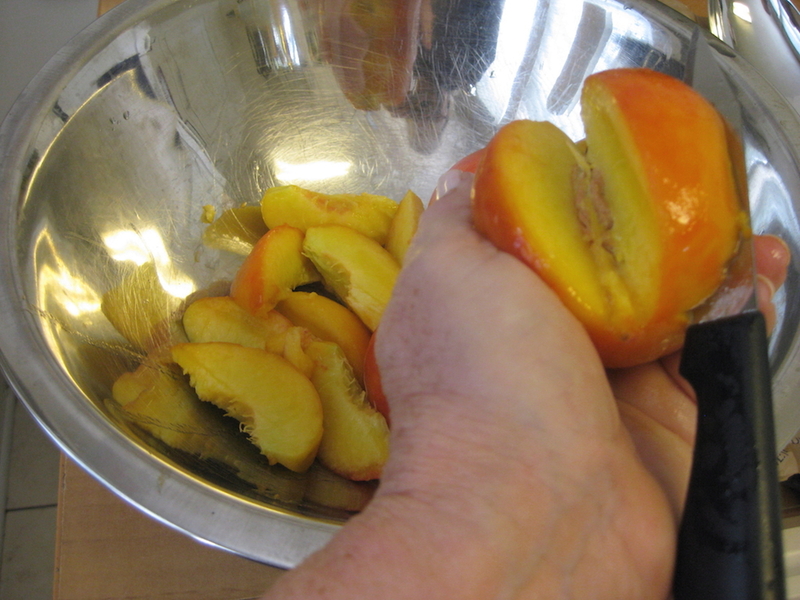 Place each peeled peach into a large mixing bowl. 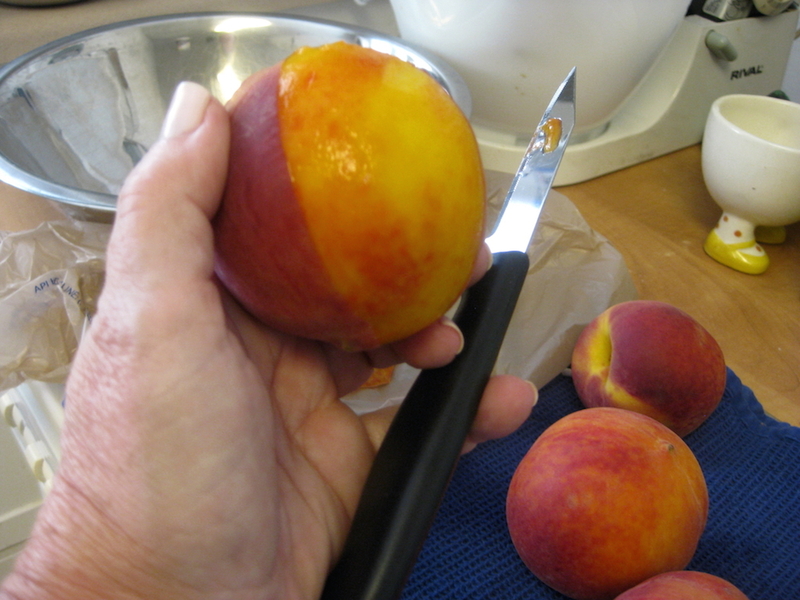 About every 4 peeled peaches, use your paring knife and slice away the flesh from the large center stone (seed). 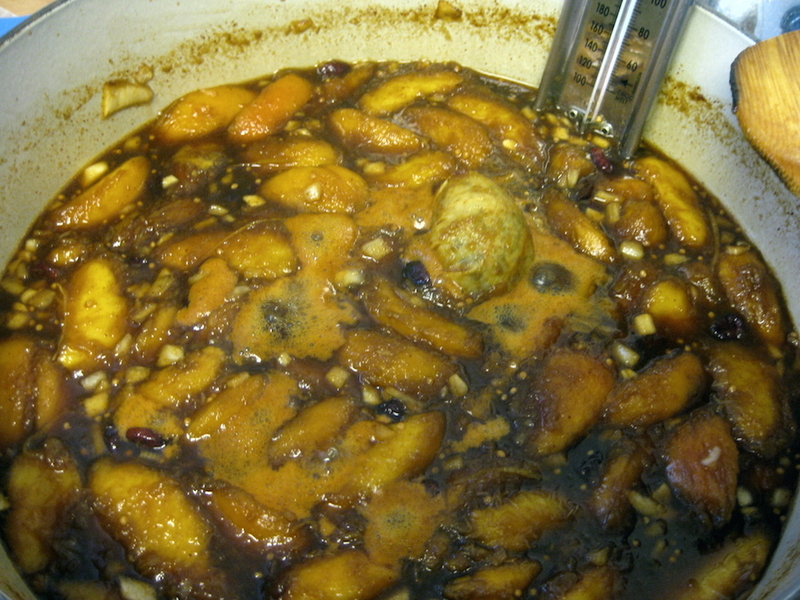 Pour about 2 tablespoons of lemon juice on top and mix lightly to make contact with juice and peach slices. Stir bowl each time you add sliced peaches. (This will help prevent them from turning brown before you cook them.) This recipe calls for about a dozen peaches. 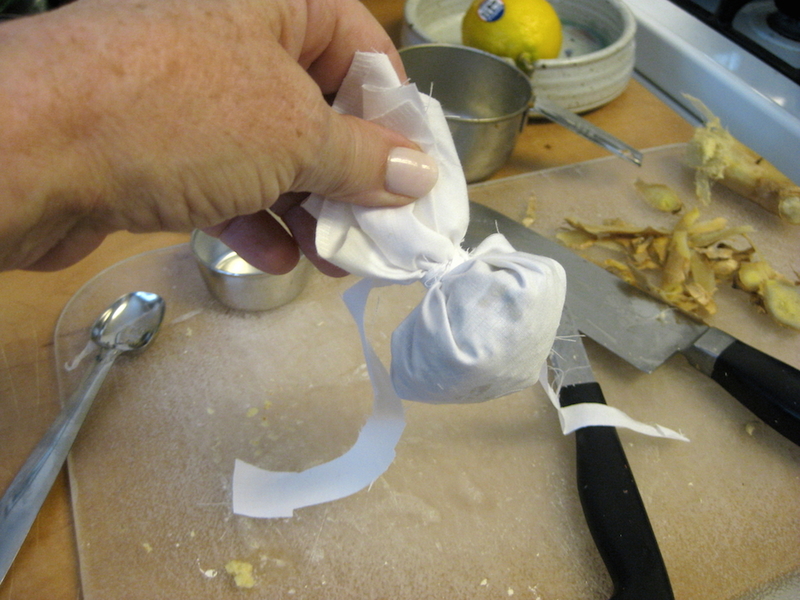 Wrap the pickling spice in a cheesecloth bag, tie it securely and dampen it under the tap. 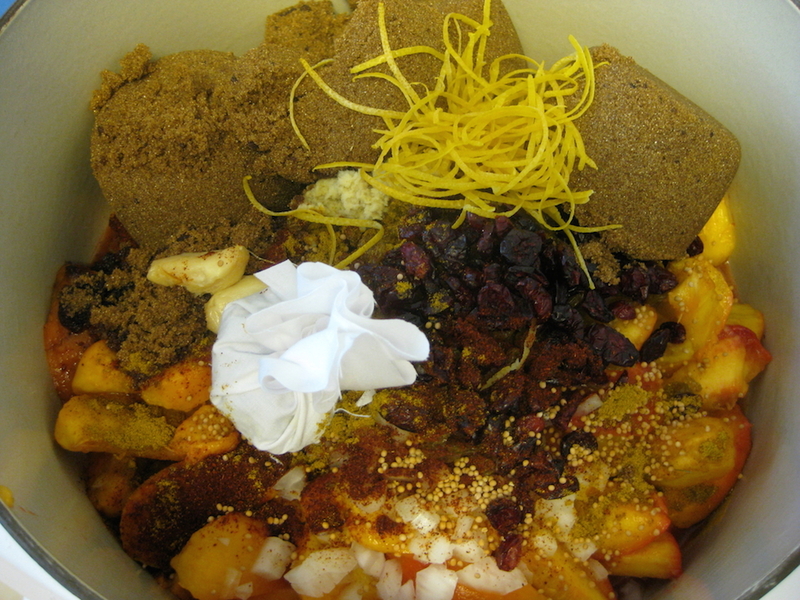 In large dutch oven, stir together the peaches, raisins/cranberries, lemon slices, garlic, onion, shredded ginger, chili powder, mustard seed, curry powder, brown sugar, pepper flakes and cider vinegar. Add the cheesecloth bag. If you have a candy thermometer, place it on the side of the pot. Likely it will register about 180 degree F while the mixture is boiling. 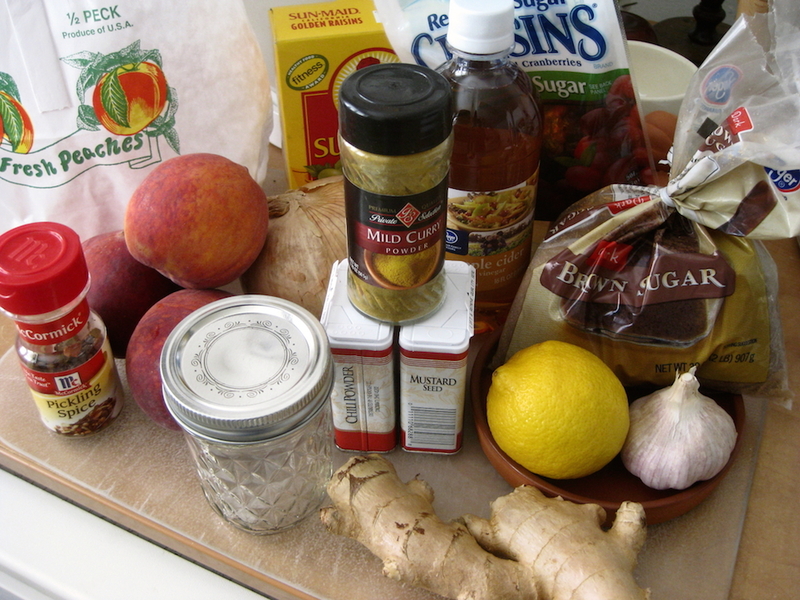 When it’s ready, remove the spice bag, and ladle into sterilized jars. Wipe the rims with a clean moist cloth. Seal with lids and rings, and process in a barely simmering water bath for 10 minutes, or the time recommended by your local extension for your area. This can occur on the stove top with a roaster pan or in a 350 oven. The water should cover the jars completely. SERVE: Makes 12, 1/2-pints (8 oz. jars). Great on top of any kind of grilled meat or fish, as a on-plate complement or in a small serving dish on your buffet for guests to enjoy as they come along. Don’t forget, it’s great on a toasted baguette slice with cream cheese, too. Roasted garlic is nothing like raw garlic. The roasted kind is mild and oft-times sweet. It squeezes out of its head like toothpaste. 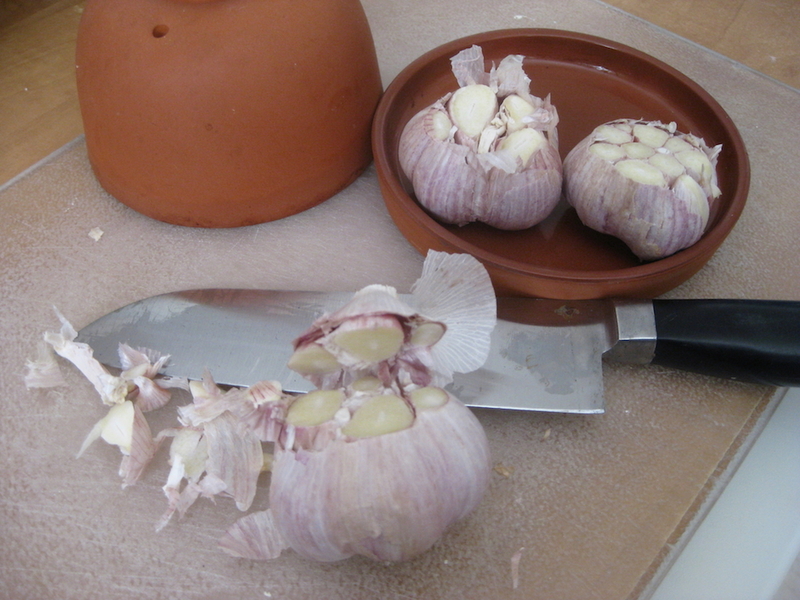 Here’s how: With your chef’s knife, cut across the top of the garlic head to reveal the tops of your cloves. Set onto a baking dish or in a ramekin you use for baking. (I have a cute little terra cotta gizmo made for this purpose.). Lightly douse the garlic head with olive oil. Bake in a 350 oven for 30 minutes until the garlic is brown and soft. 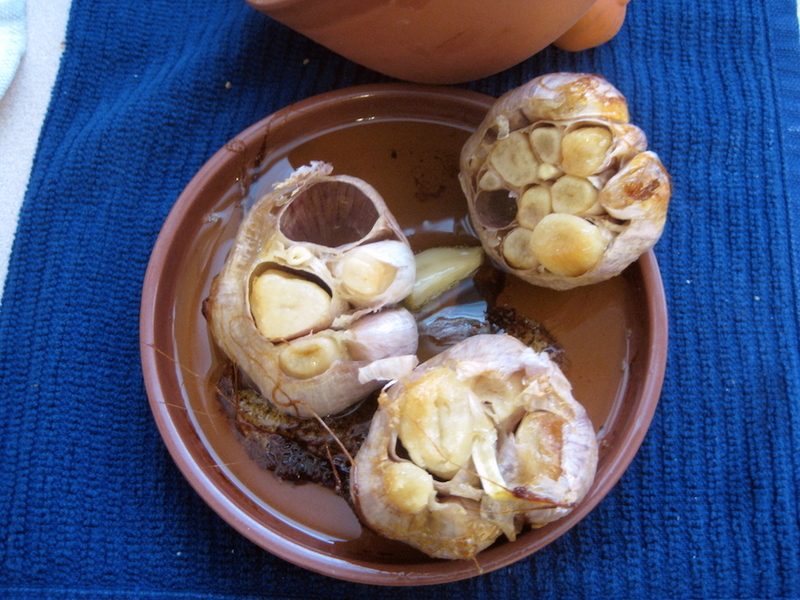 You can lift the cloves out with a paring knife or fork, or just squeeze the cooled head from the bottom and the softened cloves pop out onto a plate or chopping board. 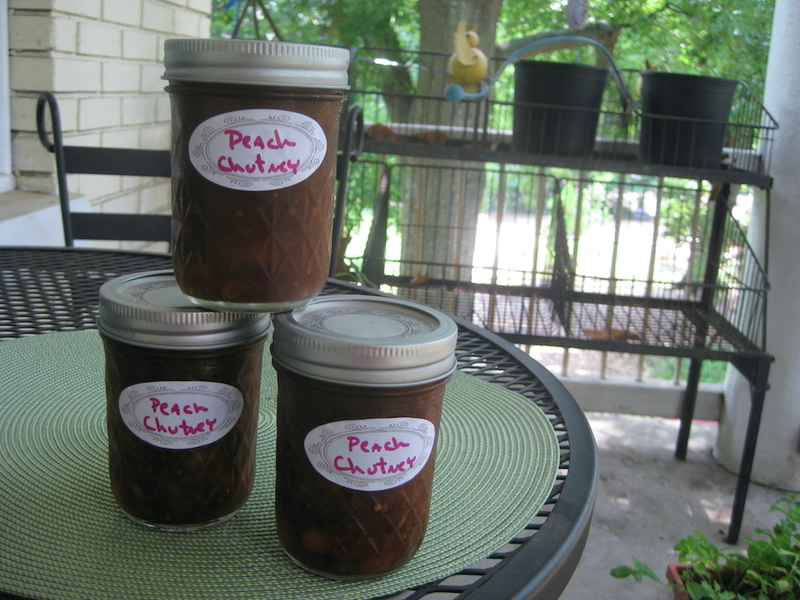 Roasted garlic is great as a butter substitute on warm bread and absolutely melts into recipes like this peach chutney. This is very interesting, I will definitely make this!